The 2009 boys break bread with The Human Serviette. Every so often, it's nice to take a minute to watch an interview or two. Good ones can provide a bit of deeper insight into your favorite artists, perhaps allowing new and unexpected connections to be forced. 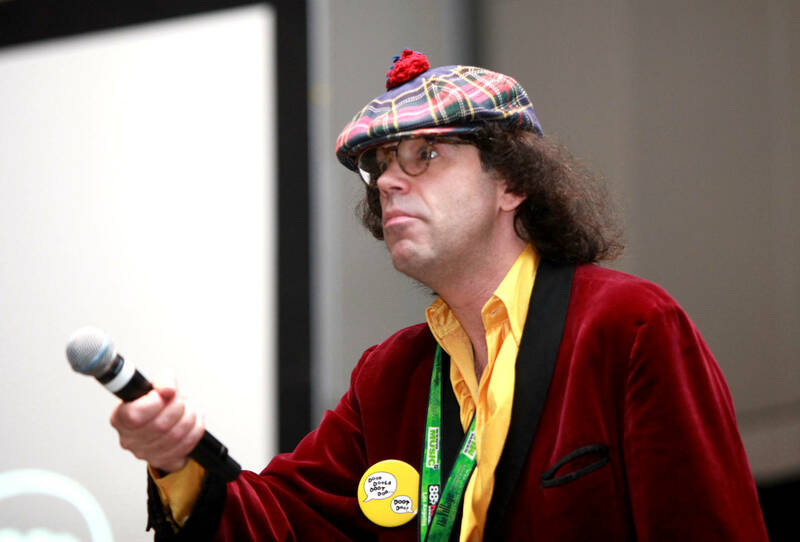 As it happens, hip-hop fans have come to develop a certain fondness for Canadian interviewer Nardwuar, who has proved an endearing force in music journalism. Even the most battle-hardened rapper will likely find himself caught off guard by Nardwuar's disturbingly thorough research and nostalgia-inducing presents. Now, the Human Serviette has once again come through to break bread with Curren$y and Wiz Khalifa, in the midst of their 2009 tour. In the initial stages of the clip, a wandering Nardwuar crosses paths with Spitta, who seems more than happy to greet his old friend. Ever the professional, Nardwuar remains hellbent on finding the wayward Wiz. In the meantime, Curren$y reflects on their early friendship. "When we first met, I didn't understand what was going on," he explains. "See where the mic is? I thought it was a test to see if I was going to check him about the mic because it was so close to me. And then I realized this is just who he is, and this is my friend. This is a good friend of mine." Eventually, Wiz Khalifa slides through, and the blunts are subsequently lit. "Damn, nice shoes bro!" marvels Wiz, taking a gander at Nardwuar's checkered kicks. "Didn't know you had it in your, Nardweezy." "Only the best," replies Nardwuar. For more from the trifecta, be sure to check out the full interview below.